If conservationists had waved a magic wand, the results could hardly have been more spectacular. Within 12 months of starving goats and thousands of ravenous rats being removed from Redonda, this remote Caribbean island has witnessed a miraculous transformation. Since the ambitious restoration programme was rolled out, the rock of Redonda has been transfigured from an inhospitable lunar landscape to a greener haven. 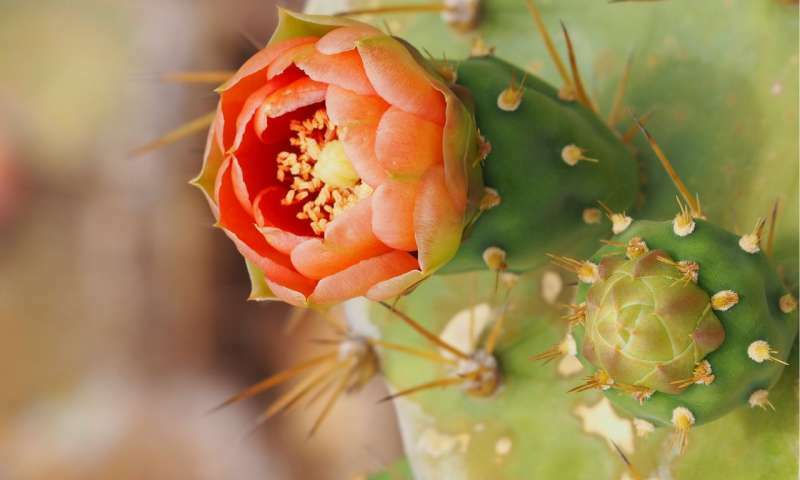 More importantly, the unique plants and animals native to this isolated, uninhabited outpost of Antigua and Barbuda are making a rapid recovery after being freed from an alien invasion. 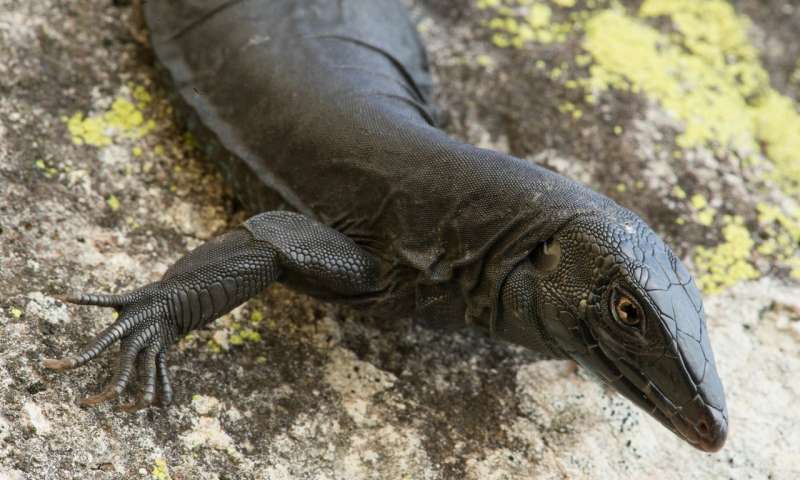 The evocatively named Redonda ground dragon, a rare black lizard found nowhere else on the planet, has doubled in number – just one of the many fantastic beasts that have been pulled back from the brink of extinction by removing the predatory black rats and plant-devouring goats. And it doesn't stop there. 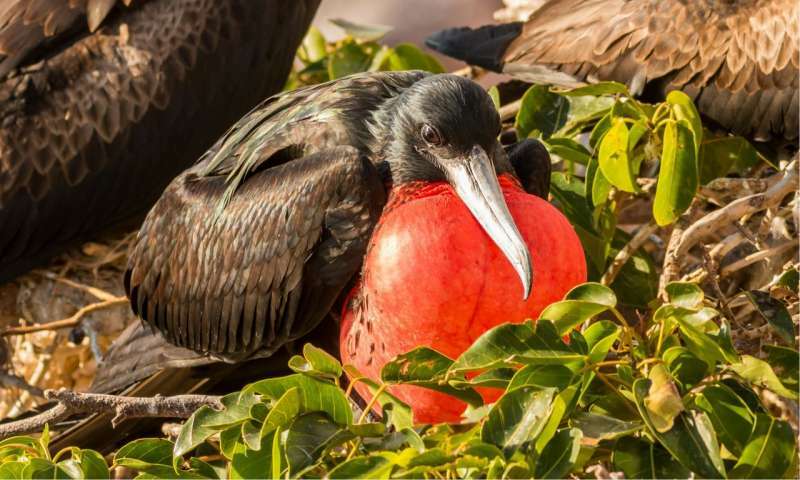 In less than a year, numbers of the equally rare Redonda tree lizards have tripled, hundreds of new trees have sprung up, land birds have increased tenfold, and the island's globally important seabird colonies – including magnificent frigatebirds and several booby species – are having their best breeding year on record. Speaking on behalf of the Department of the Environment, Dr. Helena Jeffery Brown said: "The Government of Antigua and Barbuda considers the return to life of Redonda as a shining beacon in our collective efforts towards ecosystem restoration and biodiversity conservation that will bring us another step closer to attaining some of the Aichi Biodiversity Targets." The project's coordinator, Shanna Challenger, of the Environmental Awareness Group (EAG) and Fauna & Flora International (FFI), added: "This has been the opportunity of a lifetime – witnessing the rebirth of an island. Changes forecasted to happen in five years occurred within months. Our conservation efforts really show the benefits of invasive species removal on Caribbean island ecosystems." 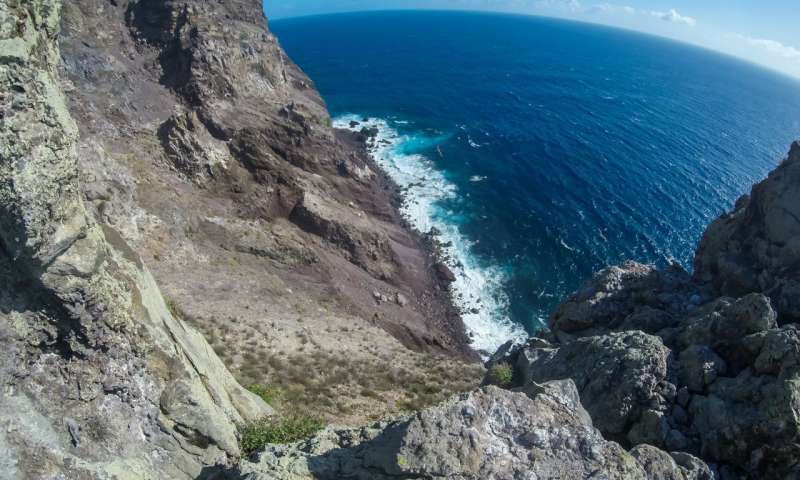 "Blood, sweat, toil and teamwork"
In the field of conservation, where successful outcomes can take years if not decades to materialise, the spectacular results on Redonda appear remarkably swift. The reality, of course, is that this 'overnight' transformation was a long time in the making. It took seven months of blood, sweat, toil and – above all – teamwork to catch dozens of nimble goats and remove over 6,000 rats from every inch of Redonda's rugged terrain. This Caribbean island makeover involved meticulous planning, ingenuity, and edge-of-the-seat manoeuvres that included abseiling down sheer cliff faces to lay down rat bait and, thanks to the skilled pilots of Caribbean Helicopters Ltd, landing equipment in very tight spots. New Zealand-based Wildlife Management International Limited led the rat eradication team: "We have over 30 years of experience in clearing invasive species from islands," said ecologist Elizabeth (Biz) Bell, "but having a ground team, rope access team and helicopter team using a combination of bait stations and scattering by hand to successfully target all of the rats makes the Redonda project unique." The British Mountaineering Council (BMC) played a vital role in ensuring that even the steepest cliffs could be reached. Safety was paramount, as CEO Dave Turnbull recalls: "The volcanic cliffs of Redonda presented an extremely challenging environment for the climbers to operate in; the BMC was very pleased to support this important conservation project and help ensure the safety of the team throughout the work." The safe removal of the malnourished herd of rare-breed feral goats presented an altogether different challenge, as Dr. Karl Campbell of Island Conservation can attest: "This project was essential for the well-being of the goats and to enable the ecological recovery of the island. The translocation of goats has seen a suite of positive impacts, and further benefits will unveil themselves in time." One intriguing consequence of removing the predatory rats is that lizards on Redonda are rapidly changing their behaviour, according to scientists from Harvard University and the Museum of Natural History in Paris. "We measured anti-predator behaviour and found that the ground dragons are becoming fierce and fearless now that the rats are gone, chasing and eating even adult tree lizards," said Dr. Colin Donihue. "This new balance of nature is more in line with what we'd expect of these animals before rats were ever on the island." The long list of organisations that cooperated in this mission reflects the complex challenges that had to be overcome. The government of Antigua and Barbuda along with the EAG and FFI joined forces with leading technical specialists from the UK, USA and New Zealand. 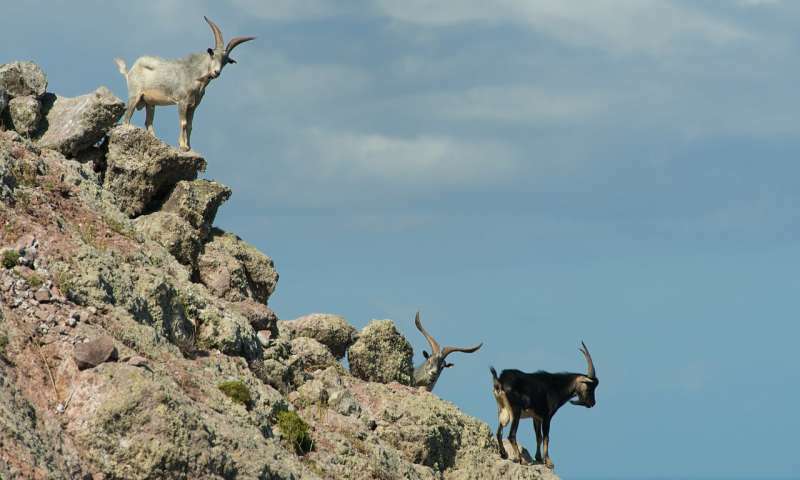 Thanks to their collaborative efforts, Redonda has been rat free since March 2017, while the feral goats have been rehoused and are being cared for by the government's Veterinary and Livestock Division on Antigua. Biosecurity equipment and protocols have also been installed to prevent future invasions. Redonda harbours endemic species that occur nowhere else in the world, including at least five species of reptiles, and globally important colonies of seabirds. Conservationists argue that Redonda's unique and special wildlife, coupled with the historical remains of one of the region's largest guano mines, warrants greater protection for the island. They're not the only ones. A recent nationwide survey revealed that over 96% of Antiguans and Barbudans agree the island should be protected. 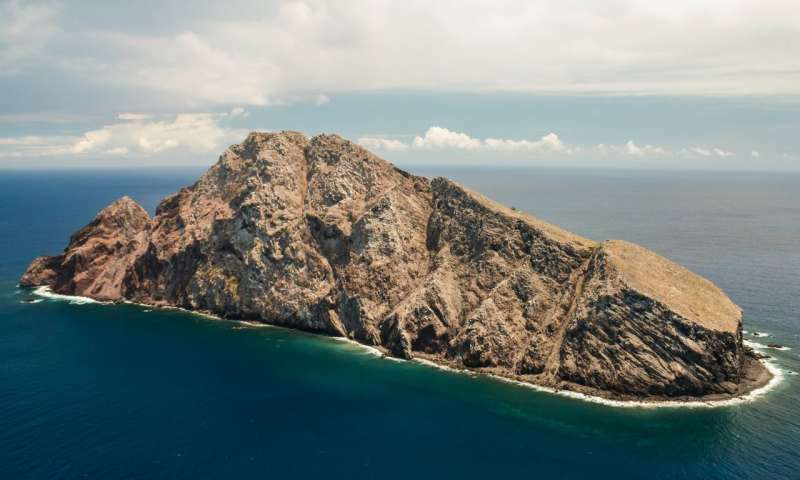 Preparations for designating Redonda and the surrounding sea as a reserve are now under way, led by the Redonda Steering Committee, chaired by the Department of Environment. According to Dr. Robin Moore from US-based Global Wildlife Conservation, which has supported this project and is now helping with planning for the protected area, "It's incredible to see this radical and rapid transformation of Redonda from a bare rock to a carpet of vegetation. As plants and animals continue to rebound, this could truly be a showcase sanctuary for wildlife."